Central Finance & Investments Ltd is a Sales and Marketing Group promoting a Group of Companies lifestyle products and services as well as providing mortgage & debt reduction services. CFI opened its doors for operation in New Zealand on 10 January 2008, which was a subsidiary of Mortgage Reduction Systems (1998) Limited, based in New Zealand from the original company in June 1993. Central Finance & Investments Ltd is domiciled in Manukau, Auckland, New Zealand. 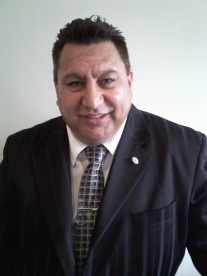 Gavin Marsich has had over 20 years Real Estate & Finance Industry experience and has experience as a Mortgage Broker, in New Zealand and NSW, Australia. Gavin Marsich owned and operated Mortgage Reduction Systems Ltd that were one of many mortgage reduction strategy companies back in the early 1990's. The software has been upgraded but is still being used today with a proven history of success. He has many accreditations and is our Mortgage Reduction Strategist and the sponsor for this firm. Central Finance & Investments LTD and Gavin Marsich, has been accredited to the Mortgage Industry Association of Australia (MIAA) with (AFG) Australian Finance Group. For the past 15 years, clients have engaged in his services with proven success stories. CFI has mortgage reduction strategies that have helped many people save tens of thousands of dollars in interest and slashed the term of loans in half or less, even without increasing some current mortgage repayments. As years have gone by the Government and the Banks have plotted a plan to hide the fact that people can save money through these savings programs. They have created confusion and continue to provide misleading guidance to thwart the efforts of homeowners paying more off the principle loan amounts. You do not need a financial adviser or need to be one to benefit from this type of loan strategy. You just need a good budget and to spend less than what you earn. At Central Finance & Investments Ltd, our principal service consists of a debt elimination product called fast track financial solutions, a mortgage reduction software that minimize mortgage interest payments and the term of the loan. Our services provide our clients with a network of corporate providers. Because of our capabilities to network with these agencies, we can assist our clients to become financially independent faster than our clients could if they tried too without the assistance of a professional qualified financial adviser. Our main business activity is to assist home and business owners to cut personal and business costs through planning and budgeting. We are Mortgage Reduction Strategists that know how to facilitate structured and tailored mortgage and business finance packages. We specialize in reducing interest charged by the bank. A typical 30 year mortgage terms can be slashed to 5 - 8 years within most Banks and our client's can save in excess of $50,000 to $500,000 in interest savings.